What are the Careers in Law and Legal? Below are some career choices available within the legal and law field. The list is not exclusive though. There are many more career paths and jobs that legal and law education/training can provide. A coroner is a position that combines medical and legal expertise. A coroner investigates the cause of death both in situ and in a morgue where an autopsy is performed. A coroner may perform an autopsy if they have been trained as a doctor. If not, the coroner may order an autopsy be performed by a medical professional. They often oversee the collection of evidence at the scene of a crime and may have to testify in court regarding the scene of the crime and the cause of death. As such, a coroner must know the basic rules of evidence and be able to make evidentiary links between the evidence collected and the cause of death. Jurisdictions differ on the level of expertise required in their jurisdiction. At a minimum, a bachelor's degree is required. However, many jurisdictions require both a medical degree and licensure beyond a bachelor's degree. A court administrator takes care of the daily operations of running a courthouse. While duties vary depending on the size of courthouse and the number of employees involved, a court administrator may have financial and budgetary duties, may oversee the hiring and firing of non-judicial staff, and makes sure that procedures in place comport with the law. Most court administrator positions require at least a bachelor's degree in business management, criminal justice, public administration or a related field. Many positions will require an advanced degree in business administration in addition to judicial administration management. Some jurisdictions require certification. Certification candidates take courses through a state approved program and may become a certified court manager or a certified court executive. Courtroom clerks must know the local rules and procedures for the county or federal jurisdiction in which they work. The level of legal expertise needed for the job is not high, but a courtroom clerk must be comfortable in high stress situations and with complex courtroom rules and procedures. Educational requirements depend on the level of the court involved. Federal court clerks must often lave either a master's degree in judicial administration or a law degree. State courts may require a bachelor's degree, and some courts require only a high school diploma. Experience counts in this profession and educational deficits are often made up for in experience. 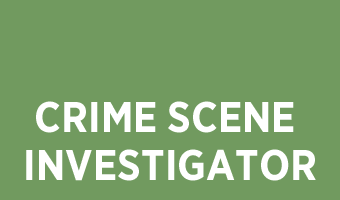 A crime scene investigator (CSI) is responsible for collecting, cataloging and analyzing evidence and potential evidence from a crime scene. This can include fingerprints, blood and other liquids, footprints, hair and fingernail clippings, fibers and the like. They also photograph crime scenes and ensure that the chain of custody for all evidence is preserved such that evidence is not tainted or changed in any way prior to trial. 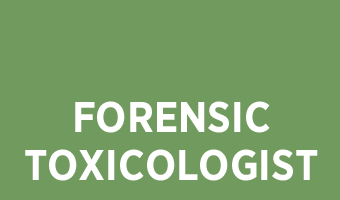 A CSI must have both scientific training and some legal training. Testing of samples obtained is an integral part of the job. A CSI must also know how evidence is used in a courtroom and what evidence is important to prove aspects of a case. They often work long hours in a lab or in the field. Educational requirements vary along with job duties. A two year A.A. degree is sufficient for CSI technician positions. These people tend to collect evidence but usually do not do any testing or analysis. For more complex positions, a bachelor's or master's degree is required, with concentration in science and criminal justice. A computer forensics investigator works together with law enforcement officials to retrieve data from computers and other data devices that is relevant to a criminal or civil investigation. They may retrieve data from damaged devices as well as functioning devices. They are expert at retrieving data that may have been deleted, encrypted, or is hidden. An investigator may compile reports regarding data retrieved and may testify in court regarding the data obtained and their process in doing so. This area has become an area of scientific expertise usually requiring a bachelor's degree in computer security, digital forensics, or computer forensics. In addition, many positions now require professional certification or a private investigator license. 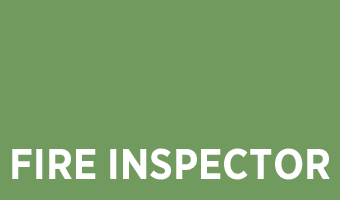 Certifications include the EnCase Certified Examiner credential. In order to apply for the test, you need to have attended 64 hours of authorized computer forensic training or have 12 months of experience in computer forensics. All companies and governmental agencies must comply with the law. The larger the company or agency, the more complicated compliance can be. A compliance officer ensures that an entity's internal processes comply with all applicable laws, rules, and regulations. In fields such as finance, compliance officers are much in demand. Compliance officers must have a clear understanding of all of the laws and regulations which affect their company. They may be in charge of designing and monitoring internal controls to ensure compliance. This is a way to manage risk and avoid litigation. Because corporate and governmental environments vary depending on the type of work being done, educational requirements vary as well. The position requires a great deal of analytical skill. A bachelor's degree is usually required for an entry level position with an emphasis on the sector involved-finance for a financial compliance officer for example. More advanced positions may require a master's degree. Increasingly, the industry is requiring certification within the particular industry sector. For example, the National Association of Federal Credit Unions (NAFCU) offers the NAFCU Certified Compliance Officer (NCCO) designation. A contract mediator helps bring resolution in contract disputes using mediation. The position is a highly skilled one. Mediation is a voluntary process. Both parties in a dispute agree to mediation as a way to settle their dispute. In some ways mediation most closely resembles a settlement procedure. A mediator determines what is important to each party and helps facilitate a solution to a contract dispute that fits the needs of the parties. A contract mediator must have knowledge about the particular sorts of contracts that they will be mediating. This necessitates some advanced legal training. Many contract mediators are licensed attorneys who have gone though law school and have passed the bar. In addition, a mediator has had training in facilitating mediations. A Drug Enforcement Agent (DEA) is empowered by the federal government to investigate violations of federal laws involving controlled substances, illegal drugs and aspects of drug use and abuse. An agent is responsible for collecting evidence, building criminal cases against drug dealers and the like. In doing so, a DEA agent may engage in surveillance, undercover work, interviewing witnesses, writing reports, and conducting raids to seize drugs and arrest traffickers. This is a federal job with strict qualification requirements. You must have completed a bachelor's degree, or have equivalent work experience in criminal justice, be a U.S. citizen, and be in excellent physical condition. A DEA candidate must also pass a written test, a psychological examination and background check. If hired, the candidate will then undergo extensive training including physical and firearm training. Detectives can work in one of two main sectors: either with public law enforcement officials, or with private security firms. In the public sector, more and more police departments are requiring at least a two year college degree in criminal justice of incoming recruits. Police detectives are usually promoted from within the force after sufficient work experience is accumulated and one passes the detective exam. 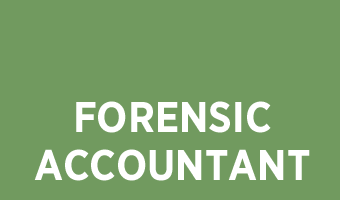 In the private sector, most states require that a private investigator candidate pass a licensing exam. An associate or bachelor's degree in criminal justice, while helpful, is not usually required for the examination itself. However, private firms may require one or the other degree in their hiring process. Detectives do all the leg work in investigations. They interview witnesses, examine physical evidence, and piece together enough evidence to build a case. A detective must know the law within their jurisdiction, especially criminal (public), civil (private), evidence, and procedural law. An FBI agent is a federal job. As such, the job requirements are clear and uniform across the country. An FBI candidate must possess a bachelor's degree, preferably in criminal justice or a related field. In addition, he or she must pass a written and physical examination. If accepted, he or she must also undergo extensive FBI training in order to become an agent. FBI agents are involved in every aspect of the investigation of domestic criminal activities, most often involving federal governmental concerns. On a daily basis, an FBI agent will conduct witness interviews, examine physical sites of violence or terrorism, gather and examine physical evidence in preparation for federal prosecution. Often assigned to small specialized units, an FBI agent may work with a specialized team on a particular matter. For example, an FBI agent may be assigned to retrieve data from computers used in white collar domestic crimes. A forensic science technician works directly with evidence, from gathering evidence, to cataloging it, to running tests, to analyzing test results and writing reports, a forensic science technician is directly responsible for the handing of evidence from the start of a case to its conclusion. When working in the field, a technician must be able to determine what evidence may be relevant and thus, gathered, and what may be left. They must chronicle the original condition of a site and prevent the contamination of evidence. 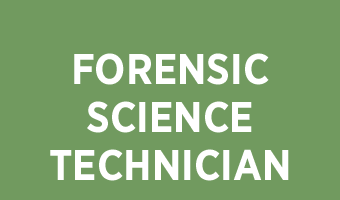 Most often, an entry level forensic science technician must have a bachelor's degree. In addition, many positions provide further on-the-job training that is directly relevant to the type of work being done in the position. This is particularly true for forensic science technicians involved in crime lab analysis. A fish or game warden may be employed at the federal, state or county level. The position is basically a law enforcement position, with the warden engaged in the daily duties of enforcing rules and regulations regarding the animals within the area the warden oversees. Daily duties may include such thing as monitoring wildlife, especially endangered creatures within their jurisdiction, investigating and arresting poachers or other people engaged in activities that endanger the wildlife within their care, ensuring the disposal of animals killed on roadways, and the like. A warden may also be involved in conservation efforts within the district, may issue and track fishing and hunting licenses, and track and issue citations for violations. They may track pollution levels within their area, write reports, and work with others to protect wildlife. Hiring requirements vary depending upon level, but many positions require at least a bachelor's degree in a related science or biology field. Some states require an associate's degree rather than the completion of a bachelor's degree. In addition, a candidate must usually pass a written examination and be in good physical condition. Since much of the work of a game warden is physical, many positions require passing a strenuous physical test including strength and aerobic activity. A lawyer must have passed the bar exam for the state in which they wish to practice. Successfully passing the bar exam is a prerequisite for licensure. While attending law school and obtaining a Juris Doctor degree is not required to sit for the bar exam in most jurisdictions, the degree makes it much easier to pass the bar. Law school usually takes 3 years if you attend full time and 4 years if you attend part time. In order to get into law school you must have completed an undergraduate degree and taken the LSAT exam. Lawyers can work in a number of legal areas, from litigation, to family law, to bankruptcy, to criminal law. Many of these jobs are in firms with other lawyers practicing in a similar or complementary area of the law. Most positions require proficiency with legal research and writing, interviewing and examination of clients and witnesses, compiling evidence, building a strong case, and proficiency in the courtroom. A law enforcement officer may work at the federal, state, or local level. An officer is responsible for enforcing the law of their jurisdiction. That can mean working proactively to prevent a crime from occurring, or retroactively, to investigate, apprehend and detain those suspected of breaking the law. On a daily basis, depending on the type of duty the officer is engaged in, an officer may patrol a particular area, question witnesses, gather, examine and preserve evidence, prepare reports, arrest suspects, attend team meetings, collaborate with other officers, or testify in court. Educational requirements vary from a high school diploma for some cities and counties, to a two year associate arts degree in criminal justice, to a bachelor's degree depending on the agency involved. For example, while a city police department may require a high school diploma, the FBI requires at least a bachelor's degree. Higher levels of authority require more schooling. A law librarian is responsible for cataloguing and updating all the legal treatises owned by a law firm, governmental agency, or other legal office or corporate department. When the law changes, the law librarian ensures that the legal updates are included within the treatises. 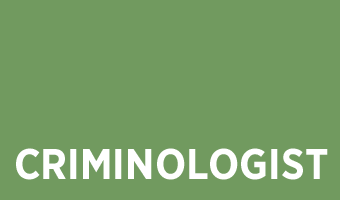 In addition, with the movement to online sources, a law librarian may provide research support and training to personnel within a law firm or corporate setting. The librarian may also monitor budgets and allocate funds, conduct periodic reviews of new and existing resources, and supervise the work of other clerks within their department. The position requires an intimate knowledge of both library science and the law. As such, most law librarians have an advanced degree, usually a master's degree in library science. In addition, many have a juris doctorate degree from a law school. Law librarians at law schools usually have faculty status and thus, must have a law degree. Some universities now provide a joint JD/MLS degree. 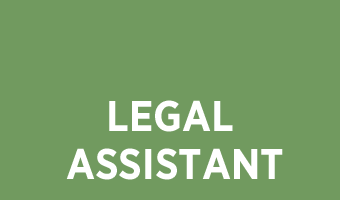 Legal assistants are invaluable in a legal setting. They provide support for attorneys in a variety of ways and depending on the assistant's skill and educational level, may perform duties such as filing documents, initial client intake, organizing documents, preparing documents for trial, drafting correspondence, and simple legal documents, helping prepare trial exhibits, witness notebooks for deposition or trial, and conducting simple legal research. Some employers require a paralegal certificate. This certificate is usually obtained after completing a two year associate's degree in paralegal studies. Some employers will provide on the job training, often to a candidate who has completed a bachelor's degree. For example, an employer may hire a legal assistant with a business degree if that legal employer prepares probate accountings as part of their normal practice. A medical malpractice firm may hire a personal with health administration experience to read and decipher medical records. A legal secretary provides support for attorneys. A legal secretary may perform such duties as initial client intake, managing and preparing simple correspondence, calendaring trial and other due dates for responsive pleadings, typing and preparing pleadings, discovery responses and legal forms. A secretary may manage an attorney's calendar, set up meetings and return calls to clients and opposing counsel. The job focuses on skills rather than education. For most legal secretarial positions all that is required is a high school diploma and legal secretarial experience. Most legal secretaries begin as secretaries in a non-legal setting, gaining typing and other general skills, and then make the transition to a legal setting. Taking some legal classes at a community college can help in making the transition successfully. A litigation analyst position is a legal support position, most often in litigation. The analyst provides an interface between the attorney and clients, the attorney and opposing counsel, and the attorney and the courts. An analyst may provide general litigation support, e-discovery support, handle and analyze evidence and other data, document collection, management and retrieval for deposition and trial, may prepare trial and deposition exhibits. An analyst may meet with clients, manage procedural matters with the court clerk and may provide other support services as needed. A litigation analyst must have detailed knowledge about the litigation process itself, from the beginning of a claim through to trial and the appellate process. Some of this information can be gleaned from the job itself, but a paralegal certificate can provide much of the knowledge needed. Paralegal certification programs are 2 year programs, usually at a community college. The programs result in an associate's degree. A paralegal is a professional legal support position. 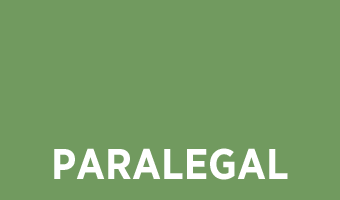 Unlike a litigation analyst position, paralegals work in all aspects of the law and often end up specializing in a particular area such as family law, probate, litigation, or bankruptcy. Paralegals do not practice law, but they often do everything else to provide support for an attorney. A paralegal may calendar meetings and court appearances, summarize documents and deposition testimony, collect and manage documents in large document cases. A paralegal may prepare simple pleadings and forms, do simple legal research, and help an attorney prepare for trial, mediation or arbitration. Paralegal certification programs are usually two year programs and are available at most community colleges and some private colleges. Some employers require a bachelor's degree. In addition, professional certification is available through various national associations such as NALS which offers a one day exam for a professional paralegal certification that is available to students graduating from an ABA-approved legal studies program or to people with a minimum of 5 years of paralegal assistant experience. The criminal justice system cannot work without the continued efforts of probation officers. Probation officers work closely with the offenders assigned to them, with the courts, with the district attorney, and with law enforcement. A probation officer monitors an offender who has been released on probation, implements interventions when needed to keep an offender on the right track and helps the offender find suitable work and housing. A probation officer may meet with the offender whether at the probation officer's office, or elsewhere, meeting with offender's employers, family, and associates during the probation period. The officer reports on the offender's status and progress to the court on a regular basis. Most jurisdictions require that a probation officer have a bachelor's degree in social work, psychology, or criminal justice. Most jurisdictions require continued on-the-job training and certification. Some federal probation officer jobs require an advanced degree. A public relations specialist acts as an interface between an employer or entity and the general public. This specialist disseminates information and creates good will between the employer and the general public. A public relations specialist may speak on behalf of the employer at a press conference or other public affair, prepare press releases to newspaper and other news sources, and create public information events at which they may represent their client. Most public service agencies such police departments and the like employ public relation specialists to speak on issues to the press and general public. Most of these positions require the completion of a bachelor's degree in public relations, journalism or a related area. This job requires a great deal of skill and comfort both with public speaking and writing. A public service administrator actively manages public service programs within a community. These programs often include elderly day care programs, homeless services, job placement services for veterans or disabled persons, and the like. These are often government jobs, often at the local level. Duties depend on the sector of public service involved. For example, if you work for a program providing day care for the elderly, you may manage the program needs according to governmental or health care protocols relevant to the mission statement of the program, or you may be assigned to develop a program to serve this population. This may include developing and implementing activities, hiring staff, monitoring safety concerns, as well as ensuring that budgets are implemented and maintained. A bachelor's degree in business or administration is essential for an entry level position. For supervisor administration positions, often advanced degrees and substantial experience are necessary. Real estate agents help people buy and sell real property. An agent must be licensed and work under a real estate broker's license in many jurisdictions. In addition to knowing real estate law and how it affects buyers and sellers, a real estate agent helps prepare and show property, often meets with clients to show them property that they may be interested in buying, draws up real estate contracts, and helps shepherd the financing and escrow process for his or her clients. Each state regulates the licensing process for real estate agents. In order to practice as a real estate agent, you must be over the age of 18, have completed the required number of hours of education, and have passed the real estate licensing examination for your state. Licensed attorneys need not complete the educational component. Many real estate brokers have additional in-house training programs available to help beginning agents learn and grow their business. Social workers help clients and their families deal with physical, mental, and other hardships and disabilities. They meet with clients to make sure that clients are taking steps to promote health and wellbeing in their lives. They meet with families to help them cope with a client's condition. A social worker often provides information on community based programs in place to help their clients and families, such as support groups, or 12 step programs. A social worker may also interface between a client and the court system. This may be required if the client is a disabled elder who is under a conservator's or guardian's care, or when the client is in court-ordered detox and rehabilitation services. Entry level social worker positions require a bachelor's degree in social work or psychology. Most advanced positions require a master's in social work, substantial clinical hours and licensure. Most Licensed Clinical Social Workers (LCSWs) have substantial advanced training and clinical training before sitting for the state's licensing examination. This is a law enforcement position. State troopers, or sheriffs, monitor highways and rural routes to ensure that speed and safety laws are complied with. They help drivers who have been involved in accidents, process accident scenes, apply CPR, prepare reports, and testify in court when needed. State troopers may issue citations and tickets. State troopers are also present in some court rooms to maintain safety and order. The position requires a high school diploma and passing the police or sheriff's academy training program provided. State troopers are required to undergo a full background check and firearms training.